In 2005 Fernando Fabre and Luis Perezcano wrote a paper called El desarrollo e impacto del capital privado en México ([download id=”1″]) as part of an Amexcap (Mexican Private Equity Association) task force to define, describe and document the private equity activity in Mexico. This site collects the basic concepts as well as certain findings, ideas and conclusions of their paper. Fernando and Luis joined by Roberto Charvel and Luis González decided to launch this blog in an effort to continue to educate the general public about themes related to private equity and seek to engage the financial and entrepreneur community in the discussion. Roberto has performed systematic analysis on the Mexican and Latin American private equity industry and keeps what is perhaps the most comprehensive database on funds and transactions. Luis contributes the legal and regulatory perspective on the industry. Ideas, notes, links, articles, strategies, etc. 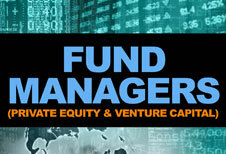 related to private equity, venture capital, entrepreneurship and other interests will be periodically incorporated. Invited authors will periodically participate with insights and ideas. If you know of a link, article or personality that you think we should invite or include, please let us know by writing in the comment section below.